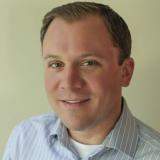 Ben VanderPlas is the Global Product Manager for Sonoco ThermoSafe. He started with the company in 2005 and has had various roles within the organization including engineering, sales, and marketing. In his current role, Ben is responsible for the development and sales of Sonoco ThermoSafe’s pre-qualified solutions. From the Institute of Packaging Professionals he retains a Certified Packaging Professional designation and has recently co-authored a technical supplement to the World Health Organizations Technical Report Series Number 961, for the Qualification of Shipping Containers. Ben has a Bachelor of Science from Michigan State Universities School of Packaging and a Masters in Engineering Management from Northwestern University.